Cornbread is not commonly known about, or eaten for that matter, here in the UK and yet it is the most wonderfully moreish and perfect little bread that works so well with a soup or salad or as a savoury alternative to scones with jam and clotted cream at tea time – not that I eat scones and jam with clotted cream every tea time……only on special occasions! 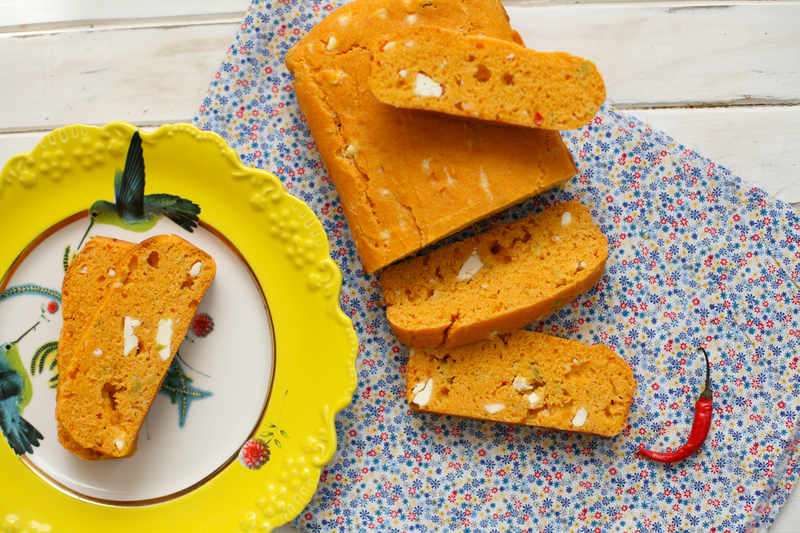 My eldest is often famished after a day at school followed by clubs so naturally likes to have a little snack before supper and this bread is a big hit – even with the chilli in. The bread allows you to be creative and put whatever little filling takes your fancy. I like to use feta as it has the perfect saltiness to go with the chilli and the spring onion adds an additional layer of flavour, which I love. Equally courgette and ricotta or caramelised onion and goats cheese would also work really well. Do you have a favourite combination? I would love to hear so please leave a message in the comments section below for us all to see. I use Greek yoghurt and milk in my cornbread but you can also use buttermilk, try them both out and see which you prefer. For this recipe I used one egg this time, but if I use small eggs then I often pop in two. As for chilli, jalapeno works well or you can use a milder/hotter one or even dried chilli flakes. Have a go, experiment and let me know what you think. It’s perfect with my Mexican tortilla soup. 1. Pre heat the oven to 180 degrees c.
2. Grease some baking parchment and place in your loaf tin. Mine is 24x14cm. By all means use a smaller tin – your loaf will just have more depth, which is good. Without baking parchment you may find your loaf is harder to remove from the tin after baking. 3. Mix all your dry ingredients together in one bowl. 4. Place all your wet ingredients together in another bowl/jug and then add the wet ingredients to the dry ingredients. Fold in gently with a wooden spoon. 5. Pour into your tin and level off with a spatula. Place in the oven for 25 minutes, or until it is golden and firm to touch on the top. 6. Remove from the oven and allow to stand for at least 5 minutes before taking the bread out of the tin and removing the baking parchment. 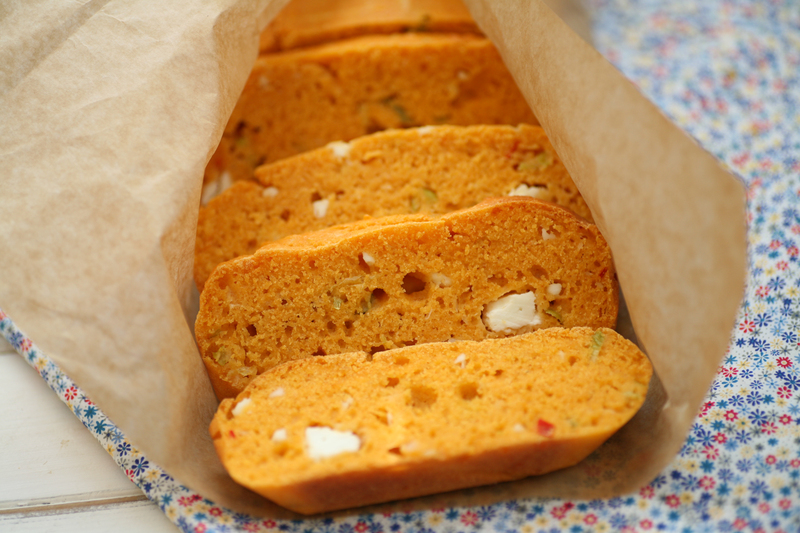 This entry was posted in Baking, Vegetarian and tagged baking, bread, Chilli, cornbread, feta, red chilli, snack, spring onion. Bookmark the permalink. 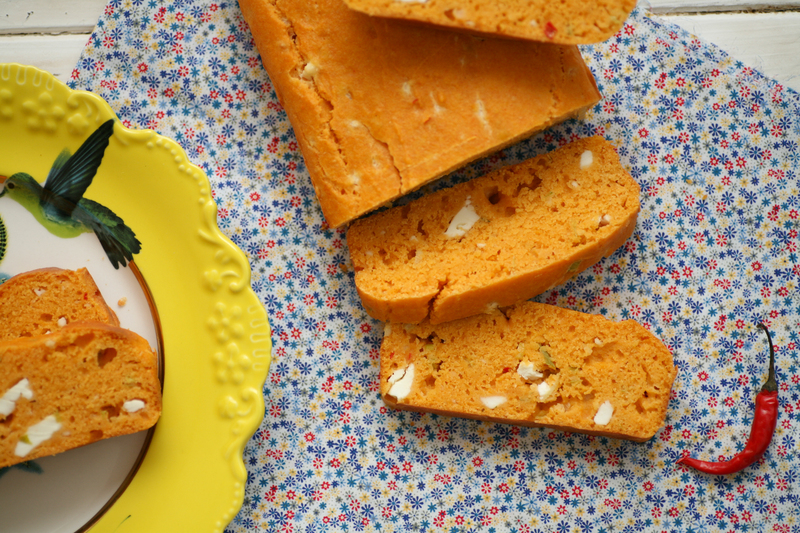 This cornbread looks really good. I don’t think I ever had cornbread with things in it. I would love to try it one day! Thanks for sharing. I love cornbread, tgough I’m not sure how authentic what my baker sells is! Looling forward to getting some real stuff this summer! Like the inclusoon of feta! 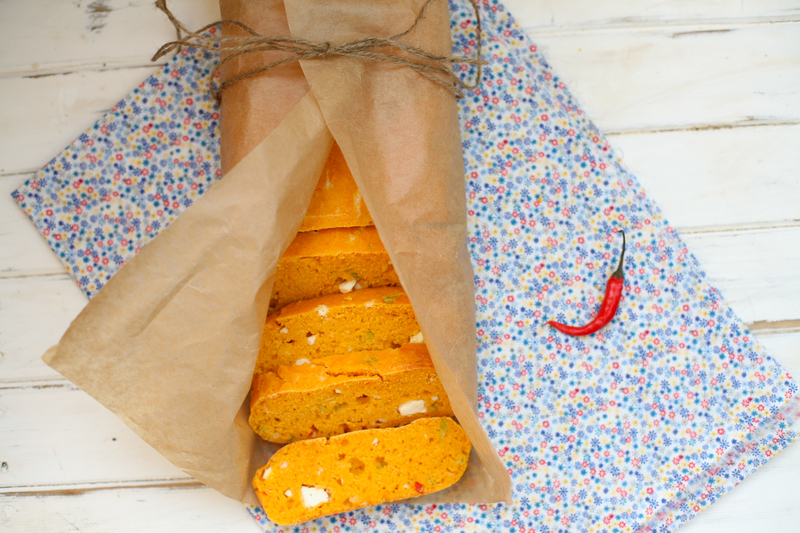 The feta really makes it for me as it adds a lovely salty taste to the cornbread and this combined with the chilli and spring onion works really well. Hope you get to try it. As with your previous recipe of broad beans + lemon-infused ricotta with mint … another great recipe utilizing a unique combination! Thanks Frances for your comment. Sweet of you to say!